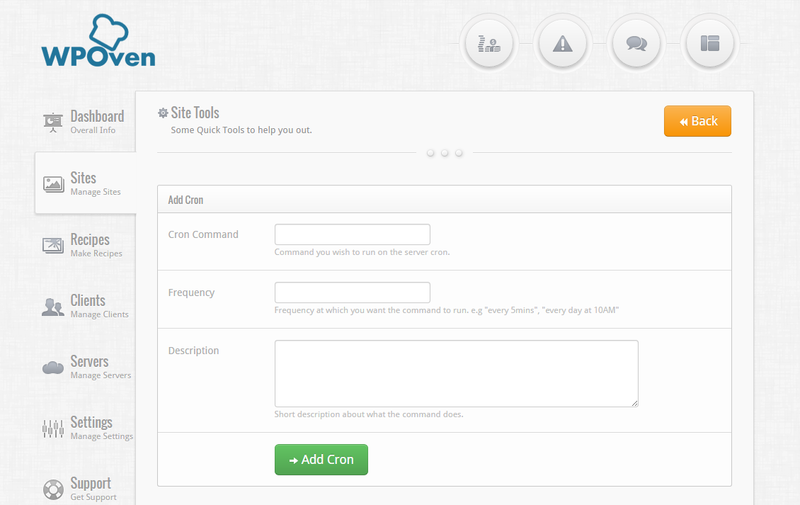 How to add a cron command to the server ? 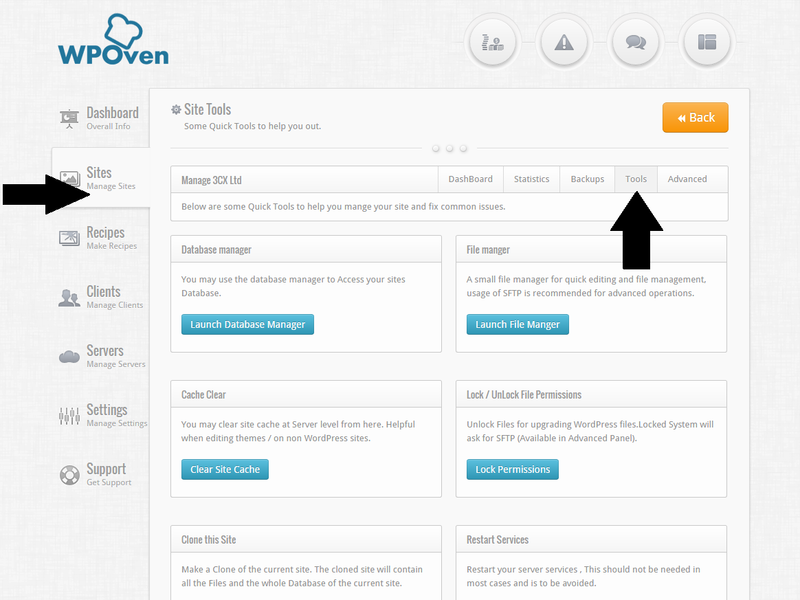 Step 1 Go to the ‘Tools’ under the ‘Sites’ Tab. You cron command will be setup shortly and you will be notified regarding the same.